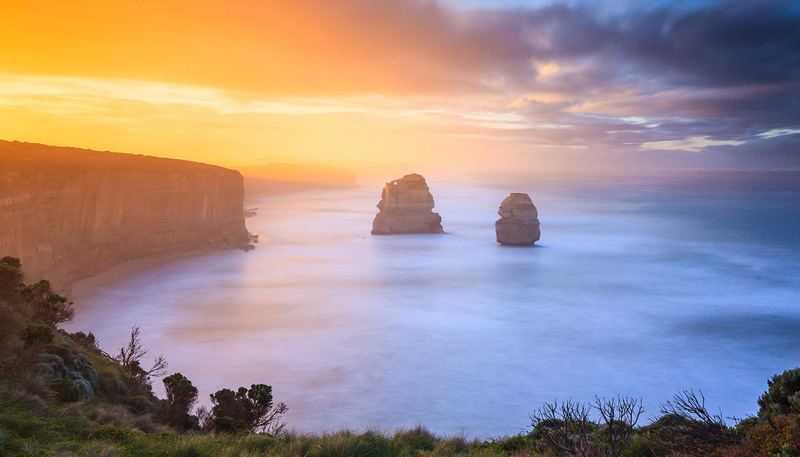 Victoria is Australia in miniature: the state crams snow-capped mountain country, epic seascapes, wineries, rainforests and the country's largest inland waterway into its modest borders. Not to mention, of course, the eminently lovable metropolis that is Melbourne. The state capital famously has an intense rivalry with Sydney, but even a few New South Welshmen would concede Melbourne’s claim to being Australia's cultural capital. The city – chock-full of galleries, heritage architecture, museums, sporting events and festivals – has a distinct set of passions, from Aussie Rules football (known universally as “footie”) to top-tier gastronomy. It’s no exaggeration, in fact, to state that Melbourne now stands as a world-class food destination, a status stoked by its vivid multiculturalism. But you won’t need to travel far from the city to experience what else Victoria has to share. Natural features come big and bold down here, from the Great Ocean Road (considered to be one of the best scenic drives in Australia) to the Grampians. The wildlife roster, meanwhile, makes space for wombats, wallabies, emus and everything in between. Referred to as the Garden State, Victoria ripples with rolling hills and meandering valleys – its mountains offer some of the best winter sports in the country – but the state as a whole is also somewhere rich in human history. From the age-old beliefs of the original landowners and the derring-do tales of Ned Kelly to the stirring legacy of the Gold Rush era and the pioneering winemakers of Milawa, the destination holds real rewards for those who travel beyond Melbourne and its surrounds. 227,416 sq km (87,806 sq miles).